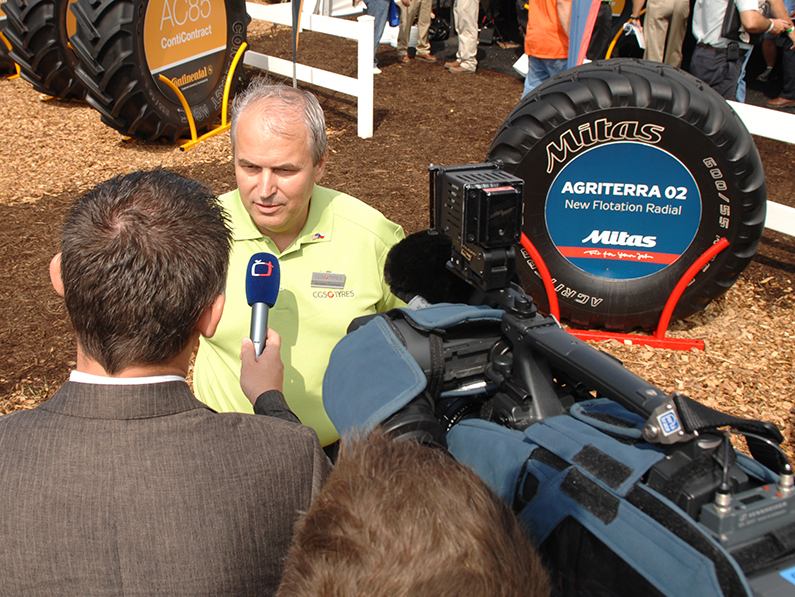 Situation: Mitas, based in Prague, Czech Republic, is one of Europe’s leading producers of agricultural and industrial tires. Since the 1930, the company (a member of CGS Holding Group) had operated production facilities in Eastern Europe and maintains a global distribution network. The company was preparing in 2010 to announce construction of Mitas Tires North America’s first ag tire production facility in North America to produce Mitas and Continental-brand farm radial tires at a new $44 million facility in Charles City, Iowa. The new plant would improve Mitas’ access to the North American market and create new jobs in America. Strategy & tactics: The company hired Hanser & Associates to create marketplace awareness among the ag tire industry (original equipment manufacturers, tire distributors and farmers) through news coverage across the USA. We created and implemented a strategy centered upon an announcement at the annual Farm Progress Show, attended by 100,000 OEMs, tire distributors and farmers. We prepared Mitas executives for the event, created media materials, invited journalists, coordinated onsite news interviews and distributed the news, including video and photos. We helped position the company as benefiting U.S. farmers through advanced technology (radial) ag tires and increased competition; and described Mitas’ commitment to be an active member of America’s business community by providing high-paying jobs and economic development. Iowa’s Governor addressed the news conference to describe the economic impact. Results: Sixteen journalists attended the news conference to interview Mitas’ executives. More than 245 print, television, radio and online news media reporting the company’s announcement. The media value (cost if the space had been purchased as advertising) exceeded $400,000.